Do you ever walk into a Mitre 10 and wonder where they got all that racking? Need to store all different products, timber, tools, sheets, pipes and pallets? Read on to learn about how versatile MACRACK is – and why Mitre 10 loves dealing with us! Mitre 10 needs no introduction to any Australian, especially not your home handyman, tradie, or weekend gardener. It’s an iconic Australian brand that we have seen grow over the past decades to reach all areas of the country. It obviously has large competitors, but Mitre 10 holds strong and continues to surge ahead, even in the face of foreign low-cost competition. 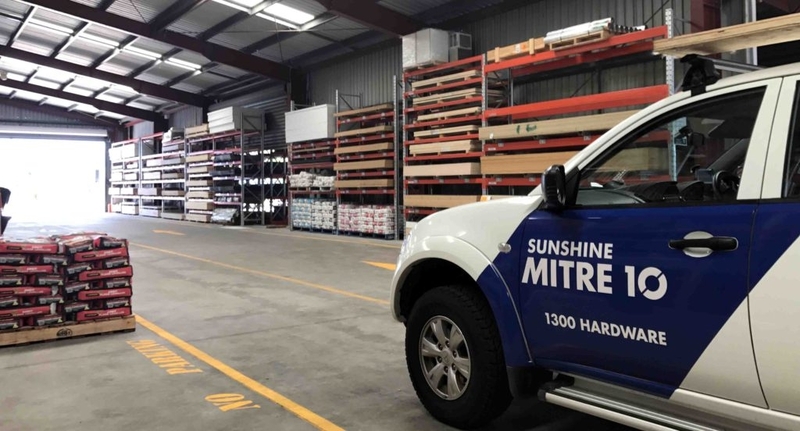 Because Mitre 10 is an Australian brand, they take pride in helping other Australian owned and operated companies, which is why they are a perfect match for MACRACK and our 100% Australian owned and manufactured product. Other companies claim to be Australian, but if you ever ask to see their manufacturing machines… well, you might just get a shock when they suddenly can’t show you! MACRACK, on the other hand, proudly manufactures and operates right here in Brisbane. 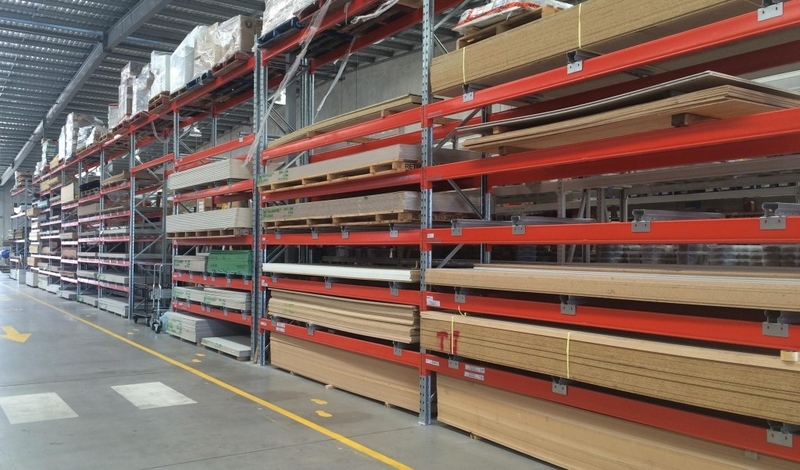 Hardware stores such as Mitre 10 have a truly vast array of products, which can make storing their entire range a bit of a conundrum.But it’s never impossible. This is where MACRACK comes into its own, with the ability to customise items and create tailored storage solutions, all while still having a wide range of stock items for the basic bulk storage needs. We work in conjunction with each store to utilise their space to the best of their ability. 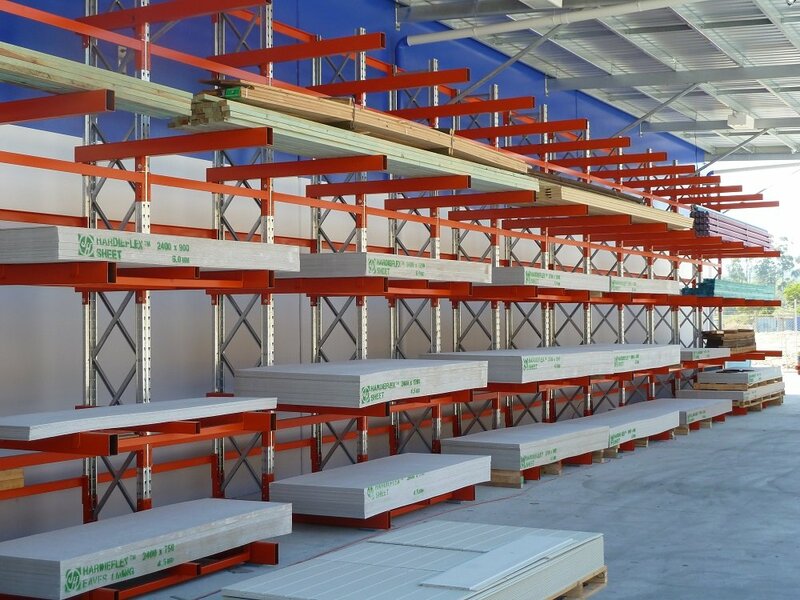 Whether the ideal solution is a pallet racking system, a raised storage area or something else entirely, we strive to work this out before any building or installation takes place. We sit down with the manager and discuss options, stock levels, warehouse layout, quick moving items and widely varying product pack sizes. This one-to-one personal service helps achieve excellent results for the store and its local community. 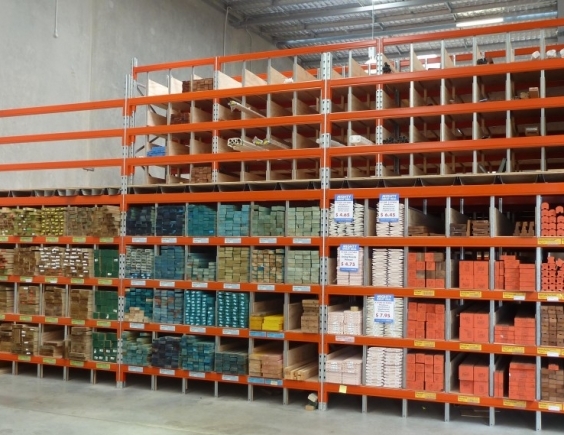 They utilise pallet racking for all bulk goods, such as pallets, gyprock boards, sheets and panels. Storing these items is simple and affordable with the MACRACK pallet racking system. This system is easy to put together and also very flexible, which means it can be adjusted to suit most industrial storage needs. 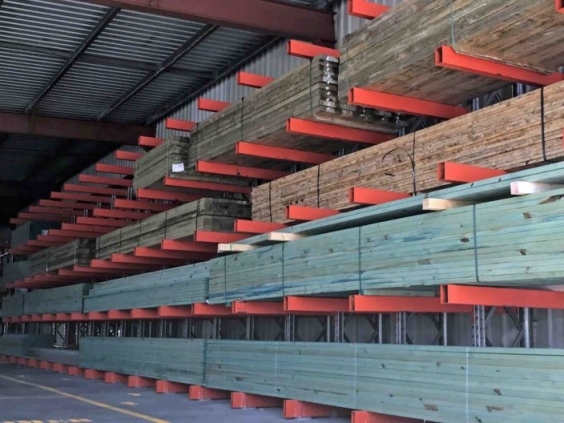 Our racking beams come in various weight capacities and lengths, and our frames can be made to whatever height you need. This allows you to mix and match to suit long or short products, tall or small. 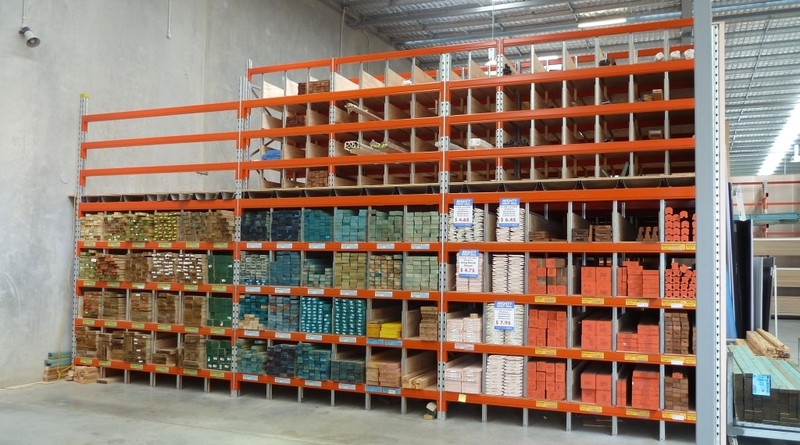 The combinations are endless, but Mitre 10 uses pallet racking to its best capability with each bay reserved for a specific product. To store their long timber products, they use industrial pigeon holes and cantilever racks. 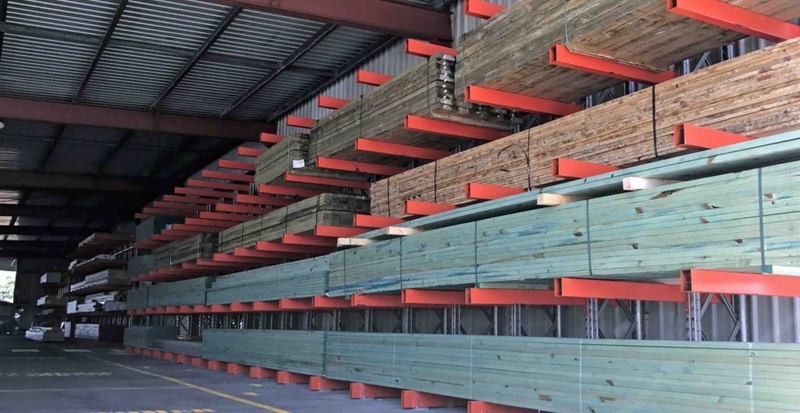 Cantilever racks are perfect for storing their bulk packs, which come directly off the trucks, while the pigeon hole racks allow people to pick out a couple of pieces at a time. With these pigeon racks, we often add a mezzanine floor above to gain a little more space and allow extra storage. The choices are numerous and neatly tailored to each warehouse’s needs. Rely on MACRACK for all your warehouse storage needs.